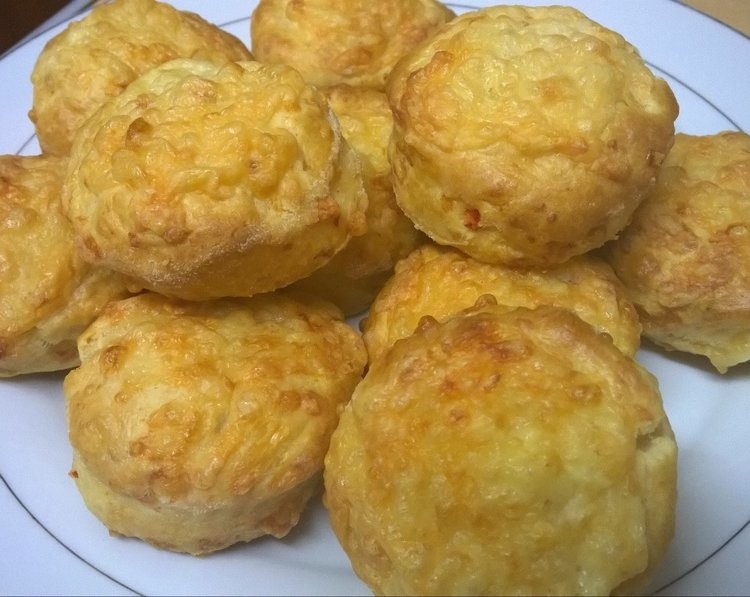 These cheesy scones are laced with chilli and are perfect served warm with soup, or just split in half and spread with butter. As with everything else I seem to be making this week, this recipe also comes from the Tesco magazine! 2. Sift the flour, baking powder, and cayenne into a bowl. Add the salt and black pepper and the butter. The Tesco recipe says to whizz all this to fine crumbs in a food processor, but I just did it with my hands, rubbing the butter in until it resembled crumbs. 3. Add the chilli and half of the Cheddar, then gradually pour in the buttermilk, stirring to make a soft, nonsticky dough. You might not need all of the buttermilk. 4. On a lightly floured surface, flatten out the dough with your hands to 1.5-2cm thick. Dip a 5cm (2in) fluted cutter in flour and stamp out rounds, re-rolling the dough as needed to make 16 in total. 5. Transfer them to a baking tray lined with nonstick paper. Brush with a little milk and scatter over the remaining Cheddar. Bake for 12-15 minutes, or until risen and golden. Eat warm, or cool them on a wire rack. Ooh, I’ve always thought of scones as sweet treats for breakfast or tea. A spicy, cheesy version sounds delicious, though, especially as we move into winter! Yes, scones do tend to be sweet don’t they – we do have cheese scones sometimes over here. The chilli adds a nice kick.